Bird identification by color is usually a good starting point for beginners in bird watching. Birds colors cover the whole rainbow spectrum and which is then complicated by the fact that depending on the light intensity and posturing of the bird the colors tend to shimmer. For example a Bronze Sunbird looks different at dawn than at the height of the afternoon sun. The catch with birds identification by color is to note any differently marked part. Note some parts are very easy to tell their colors e.g. the legs, toes, vent, rump, primaries, bill, throat and stomach. The tricky part (usually but not always) in birds identification by color is in the eye details, the eye-ring, the orbital ring, the iris may all have different colors or very close variations within related birds species. In this case a good pair of binoculars or scope is very hardy. Identifying birds by color should be used in conjunction with other birds identifying methods such as size of the bird, posture and distribution. When planning for an African bird watching holiday visit online birds identification sites and use color pictures for birds species likely to be found in your itinerary. 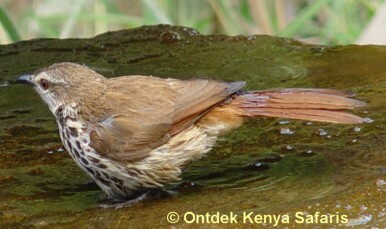 All Africa birds pictures in this website are by Peter Huysman, an avid bird watcher and also the owner & operator of Ontdek Kenya - the leading outfitter of bird watching holidays in Kenya since '96. 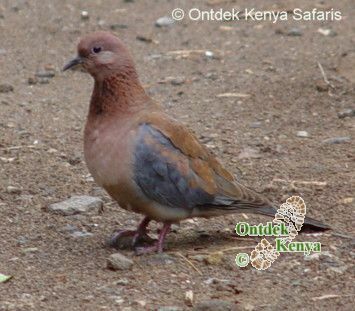 For a consultation on a birding holiday, please contact Ontdek Kenya Safaris.